Want the quick rundown of 4 of my favorite Carrot features? For those unaware, I work for InvestorCarrot. I help out with the marketing and day to day operations. And I started to see a trend, a lot of Carrot members aren’t utilizing some pretty cool marketing features in our software. I decided to write this post to show you 4 of the most under-used features that come with every InvestorCarrot membership. My hope is one of these sheds some light on a way you can increase the performance of your InvestorCarrot website. This might be one of my favorite features because it makes it really easy for a lead to opt into your website. It makes it really easy on mobile when a lead only needs to type a few characters to get their property to pop up. So why is this feature so powerful? For one, it gives you properly formatted address that our Zillow integration can use to return more useful property information. Furthermore, from a psychology stand point, you want to make it as easy as possible for a lead to opt in on your website, and suggesting their address to them is about as easy as it gets. The last point to make about this feature is that it’s very common on sites like Zillow and Redfin so a users are familiar with filling out this type of form field. If you are a Carrot member, this blog post I helped write will walk you through the steps you need to take. 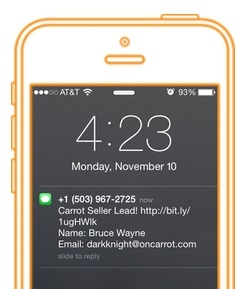 I have talked about SMS notifications in this InvestorCarrot review blog post. This feature still remains as one of my favorites. Basically, you can configure each form in your InvestorCarrot website to send you a text message with details (like name, phone number, and address). The power of this feature is that if you are on the go a lot (like I am)…you can quickly call a lead after they opt-in on your website. Overall, 47 percent of companies don’t respond to their leads at all, according to InsideSales.com research. The rest take an average of 42 hours to make the first phone call and only average 1.1 calls before giving up on the lead. Having this feature enabled gives you a distinct advantage. If you are a Carrot member already, this tutorial will show you how to configure the SMS notifications on your forms. Pro-tip: I only enable this form on my main forms (so not my contact us or free reports)…so my phone isn’t cluttered and I know that a Carrot text means time to call someone. A lot of my time at Carrot is spent optimizing campaigns and tracking ROI and budget spends on ad campaigns. In the past, I have used Google Analytics UTM tracking links for everything and kept them all in a spreadsheet. While this works, it’s cumbersome and hard to include multiple people on. Carrot utilizes UTM data with its campaign tracking link feature. This might sound really technical but anytime someone clicks on a campaign tracking link it counts that as a hit and listens if they opt in or not. Facebook or Adwords ads to track which ads are converting leads. 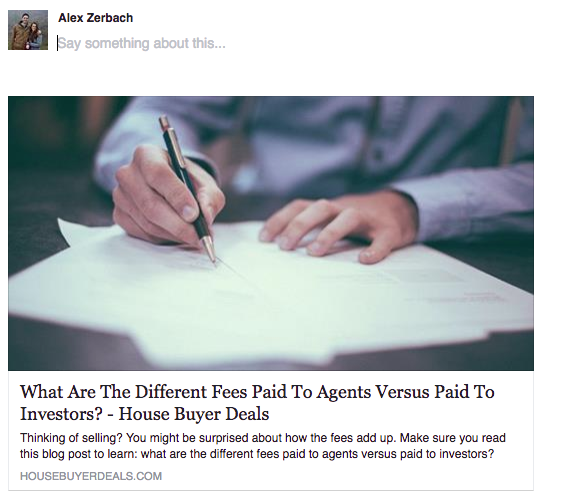 A Facebook post for a specific landing page (like for cash buyers). A YouTube description to see if that link is being clicked. Anytime you conduct follow up emails and want to know if leads are clicking on them. Here is the official tutorial on how to setup a campaign tracking link. I don’t see a lot of Carrot members using this feature. I am unsure if it’s because they don’t know it exists or if they don’t want to take the time to make nice hero images. If you take content marketing seriously and are actively promoting your blog posts around the internet then listen up. 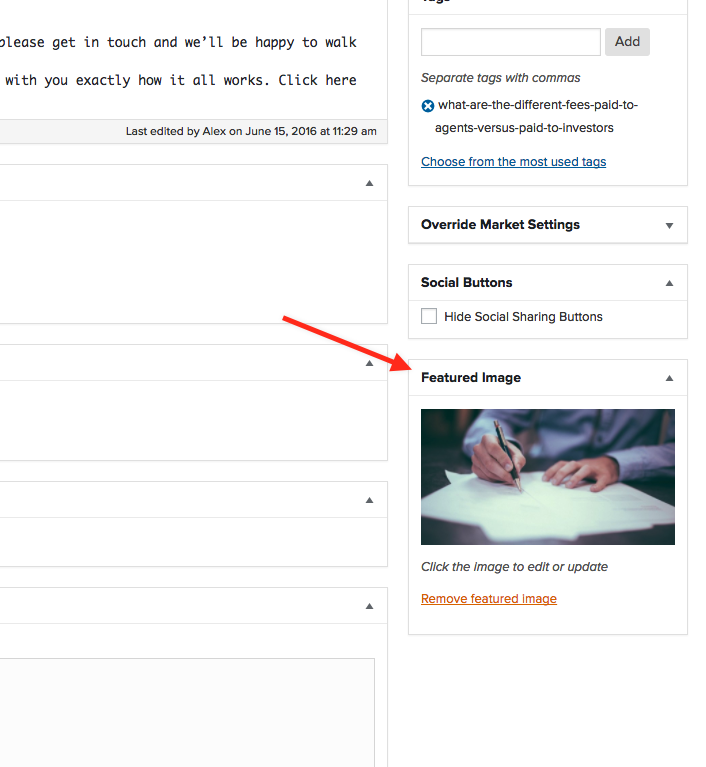 Your featured image is what is going to grab folks attention and get them to click. A nicely designed image will help you get eyeballs on your content. Advanced Tip: You can override Facebook’s share title, description, and image (aim for 1200px by 628px) by going to the social tab on your Carrot SEO tool. There are a ton of amazing features inside InvestorCarrot’s software. When it comes to tracking leads and content marketing there really isn’t anything better for most website platforms (that I have found). I just wanted to cover a few features that I really enjoy using and that I see a lot of investors underutilizing. Take advantage of some of these features and let us know if you need help setting up on your website. Also, read my review of Carrot if you haven’t already.